….makes me smile. The thought of warm weather, seeing green all around and pretty blue skies sounds ever-so lovely. So when I saw this gorgeous spread from Layle, it was like a brush of fresh air. (And boy do we need fresh air ’round these parts with the icky inversion we get each winter). If you’re in the same boat Layle and I both are–living in Utah and all–take a gander at this and dream of great things to come. January and February in Utah are two of the dreariest months around! It’s cold, lots of snow and overcast most of the time. 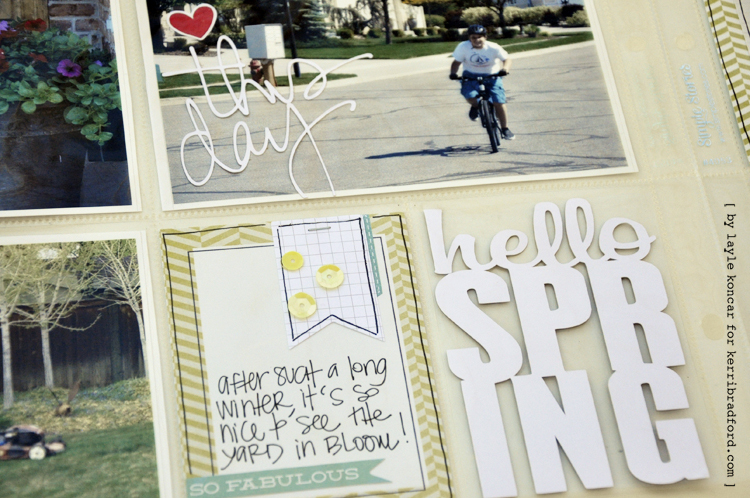 I put this pocket page spread together from last May to remind myself that spring will eventually get here & we’ll have sunshine, green grass and flowers in bloom. 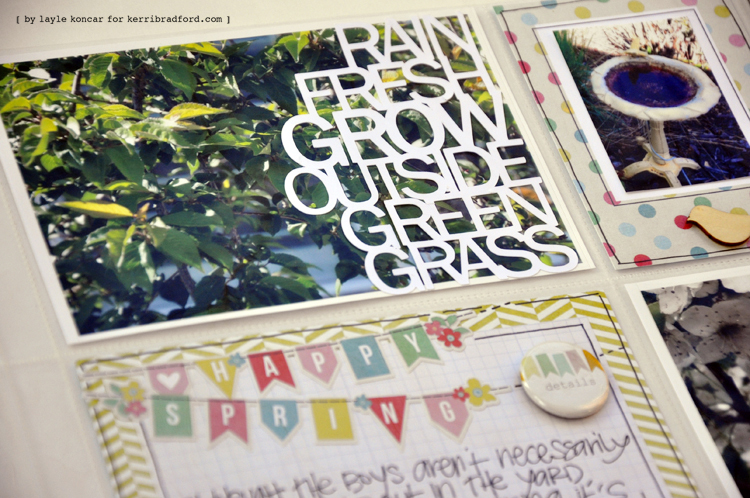 I used several stacked words in my spread, both from the This & That Spring (Just Shapes) kit. 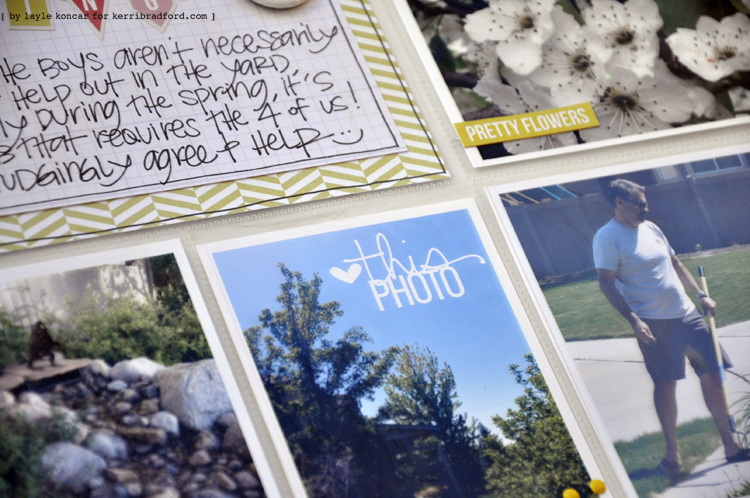 The first one I adhered over a close up photo of a tree in our backyard. I wanted the ‘Hello Spring’ design to fit the full 3×4 pocket, so I sized the width to 3″, unchecked ‘ ‘lock aspect ratio’ and set my height to 4″ and voila – perfect to fit in the pocket. To make it a bit easier to slide in the pocket, I first adhered it with small glue dots to a 3×4 piece of acetate, that way it maintained its shape when I slid it in to the pocket. Now I’m off to find my own bit of sunshine.